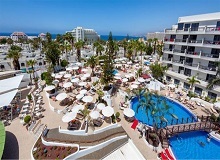 Costa Adeje Gran Hotel is located in the exclusively residential area of Costa Adeje, in the South of Tenerife. This five-star hotel is about 500 metres from Duque Beach and Fanabe Beach, both of which have golden sand where you can do all sorts of water sports, sunbathe and enjoy the best views of Gomera Island. 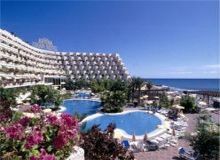 The Iberostar Sabila in Costa Adeje, refurbished to a 5-star standard, is a luxury hotel in the south of Tenerife designed for relaxation and stimulation of the senses - for 16 years and older. Guests have direct promenade access and the luxury to take magical walks across Playa de Torviscas' dark, volcanic sands. 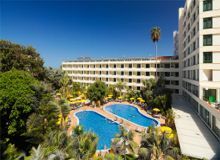 The Sheraton La Caleta is a fantastic new hotel located on the fashionable Costa Adeje in southern Tenerife, its beautifully landscaped sub tropical gardens, gently slope down towards the ocean. The Hotel Suite Villa Maria is a unique complex comprising of exclusive villas inspired by the distinctive Canarian architectural style and set within beautifully landscaped gardens based around a central plaza. Perfectly integrated with the surrounding Costa Adeje golf course, it enjoys an enviable position with magnificent views of Costa Adeje, La Gomera and spectacular sunsets. With direct access to the famous â€œPlaya del Duqueâ€� beach, Gran Tacande is an architectural wonder that beautifully blends 17th century colonial architecture and natural volcanic materials. Costa Adeje - 5 Star. 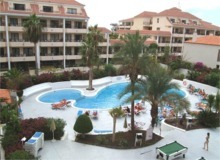 Situated in the desirable area of Playa Fanabe, Cotsa Adeje, Southern Tenerife. A Five Star Hotel beautifully furnished to a very high standard. The Hotel has extensive gardens with waterfall and fountains. Designed for adults only, this intimate and personal deluxe hotel in Costa Adeje across from the internationally famous Playa del Duque offers 72,000 square feet of extensive gardens, large swimming pool, solarium, a 3,300 square foot Spa, sports facilities, a restaurant for every palate, attentive, personal service by highly qualified staff. Costa Adeje - 4 Star. Best Jacaranda features 4 outdoor swimming pools, a sauna, a fitness center, and a children's pool. The hotel offers a restaurant and a coffee shop/cafe. Guests can unwind with a drink at one of the hotel's bars, which include a poolside bar and a bar/lounge. 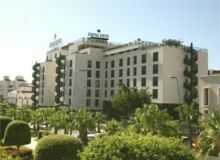 The hotel is a modern hotel which opened in June 2003 and is situated in the exclusive area of Costa Adeje. This hotel has easy access to both shops and restaurants and is suitable for all age groups. 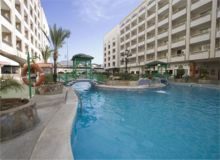 Situated in Costa Adeje. From the rooftop terrace of the hotel you can enjoy the view of Playa De Las Americas, the sea and even the island of La Gomera. The hotel is approached by a wide tree covered. If you like getting out and about on holiday, the adults-only Colon Guanahani Hotel is perfect. The property is less than a five-minute walk from a sandy, crescent-shaped bay, and the smart shops and restaurants in Playa Fanabe. The whole complex is edged by tropical gardens and glossy palm trees, and, at the centre of it all, there are two huge saltwater swimming pools. Built in 2001, this typical Canarian style village complex is surrounded by lovely gardens is perfect for families. 600 hundred meters from the beach it consists of 384 purpose built units divided between apartments, bungalows and villas. High quality accommodation with 390 recently redesigned rooms and suites with panoramic views, as well as every facility. First class stays with the maximum comfort, so you can give in to rest and relaxation. Situated just 350 m from the beach in the quiet area of Playa Fanabe, this hotel complex is the perfect place for an memorable holiday with a good selection of shops, bars and restaurants nearby. 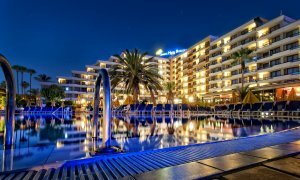 The Playa Real Resort is located close to the cosmopolitan Playa De Las Americas and is just 800 m from the popular Fanabe Beach. This luxurious hotel is surrounded by lush gardens and offers a relaxed atmosphere. 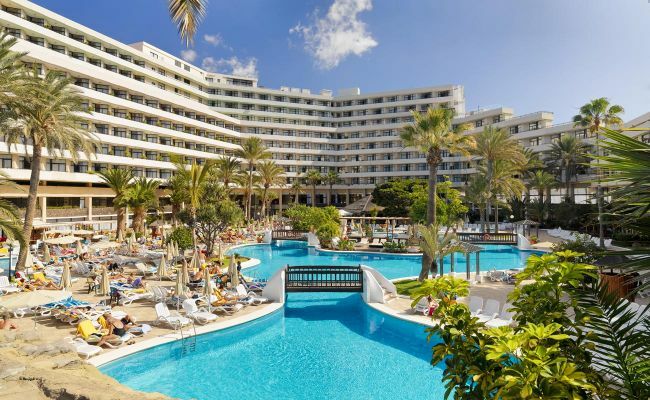 The Iberostar Las Dalias is an all-inclusive family friendly hotel in Tenerife, the heart of Playa del Bobo focused on fun-filled, entertaining family holidays where guests can kick back and have a good time. Superior services, luxurious accommodations, and spectacular amenities await you in your guestroom or suite at our hotel. Each room is brimming with amenities that would make a rock star jealous, making Hard Rock Hotel Tenerife the coolest stop on your world tour. Guia de Isora - 5 Star. The Ritz-Carlton, Abama is made up of Moorish-inspired buildings housing guestrooms and villas. The resort is set in lush tropical gardens on a cliff top, with a funicular railway down to the exclusive beach. Each room and villa has an ethnic style, and most enjoy views over the gardens, and Atlantic Ocean. Playa De La Cruz - 4 Star. Featuring an elegant decor and a warm hospitality, the Orotava Palace Hotel welcomes you for an unforgettable vacation. 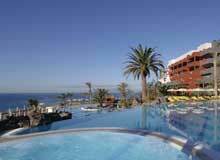 The Orotava Palace Hotel is well situated in Puerto de la Cruz area of the island of Tenerife. A seafront hotel, located in Puerto de la Cruz, in the northern part of the island, only a few steps away from the beach. 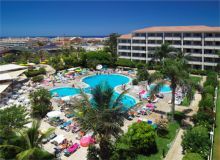 This hotel is ideal for an all year round beach holiday and offers excellent facilities. 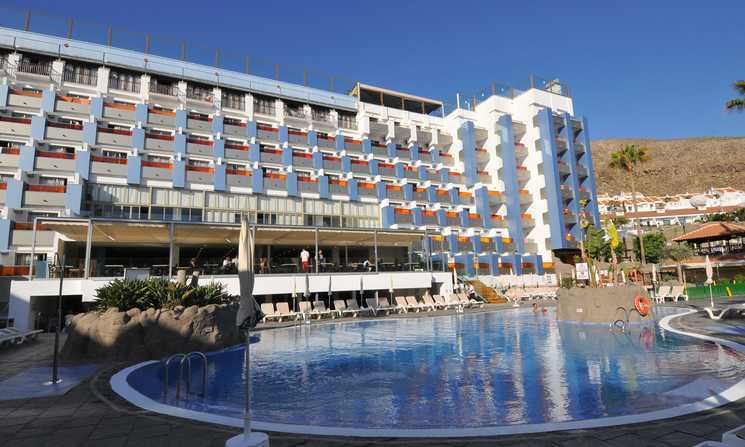 Family-friendly hotel in Puerto de la Cruz with 2 outdoor swimming pools. Located within 5 minutes walk of central Puerto de la Cruz and the oceanside Lago Martianez salt water lake, this hotel offers spacious rooms with balconies. Playa De La Cruz- 4 Star. 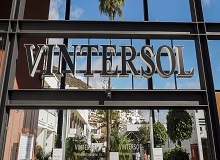 The Sol Costa (formerly Beatriz Atlantis) Hotel and Spa wins the hearts of holidaymakers with its fun facilities, great location and laid-back atmosphere. If you're looking for somewhere with lots going on along with a fabulous swimming pool and sunbathing terrace, this complex fits the bill. Puerto De Santiago - 3 Star. Globales Tamaino Tropical Aparthotel is located between Los Gigantes and the lovely beach known as Playa de la Arena with wonderful views of the impressive cliffs of Los Gigantes. Puerto De Santiago - 4 Star. 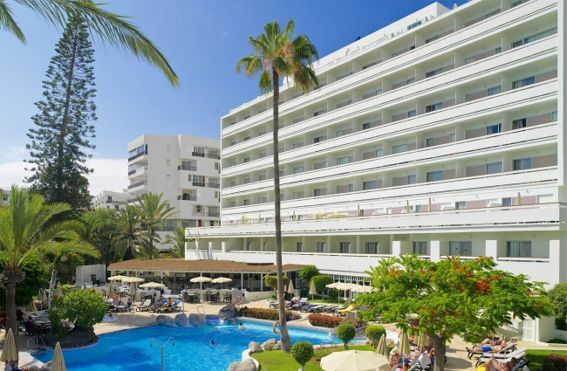 The Be Live Experience Playa la Arena Hotel is a resort located just by the beach in Puerto Santiago, only 50 metres from the sand and with direct access, so that you will be able to enjoy the Canarian sun with your entire family without having to worry about a thing.